There are many reasons Apple is buying Beats for $3 billion, but integration with HP computers isn't one of them. 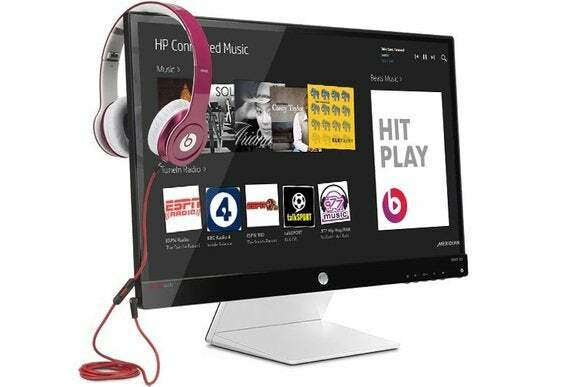 Still, Beats has its contractual obligations to fulfill, and so HP will continue to produce laptops and desktops with Beats integration through 2014. As CNET reports, HP will sell these PCs through 2015, at which point the two companies will dissolve their partnership. HP and Beats have been teaming up since 2009, when the first HP Envy Beats Edition laptop launched. The two companies worked to tune the audio drivers on HP's laptops and to protect against interference when using external speakers or headphones. They also launched a Beats Audio control panel with more equalizer settings than Windows' built-in sound panel software. In some cases, HP even threw in a pair of Beats headphones. Through it all, HP flaunted the partnership, making the Beats branding a prominent part of its high-end laptop lineup. Roughly 15 percent to 20 percent of HP laptops now use Beats technology, according to CNET. It makes sense that the Beats partnership would come to an end after Apple completes its acquisition. HP is still one of the biggest PC vendors in the world—though it has fallen farther behind rival Lenovo in recent months—and its high-end, Beats-branded laptops compete directly with Apple's MacBook lineup. Beats also had a partnership with HTC, which saw Beats integration in smartphones such as the HTC One, but the two companies broke up last fall.